Honestly I don't know all the name of the succulents or species, but I love looking at them. 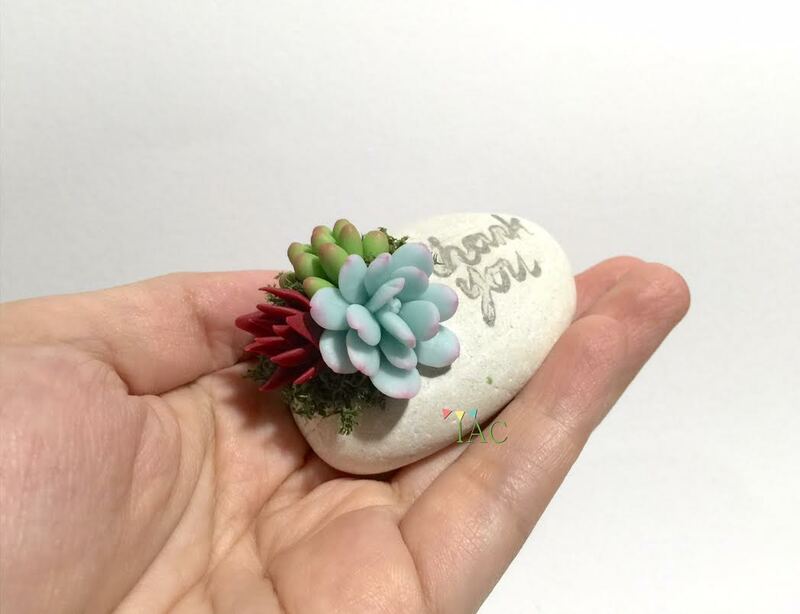 I made some miniatures of succulents 2 months ago for the Easter Bazaar and now I am making a slightly bigger size succulents to fit to daily use or just decoration. 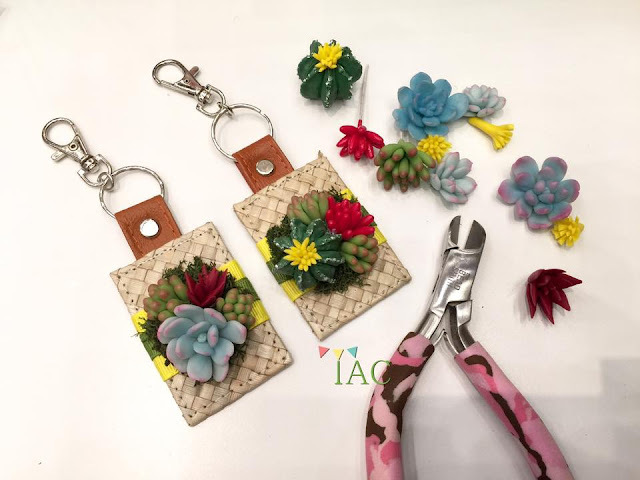 I use Japanese air dry clay (Modena from Padico) to create these succulents you see in the pictures below. Modena is an air dry polymer clay and is water resistant. 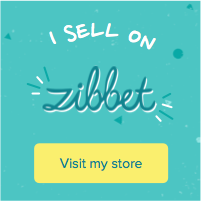 It comes in several colors and very easy to use. I love it... the finish result is almost the same as baked polymer clay, hard and strong. I believe it is important to stay close to Nature and these tiny babies are perfect as paper weight on our working desk. No watering required, stays pretty the whole year round and as good as candy to our eyes.